White Spot has a big announcement for those who love plant-based eats. 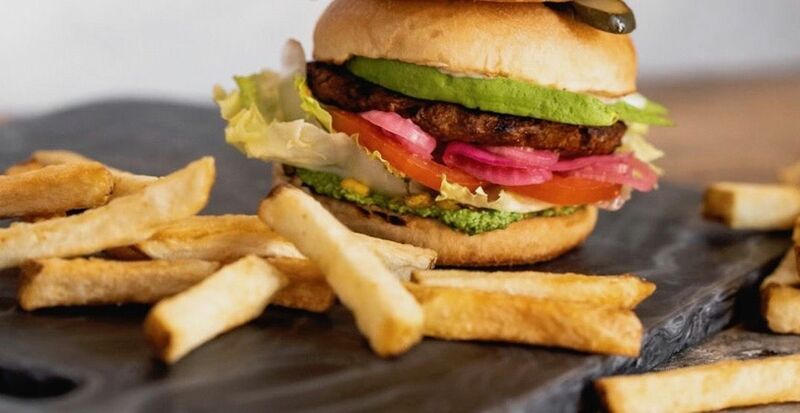 The beloved BC-based restaurant chain will officially be adding a new Avocado Beyond Burger to its menus in BC and Alberta on April 15. Patrons can also sub the new patty into any White Spot burger for $1.99 more starting next week. The 100% plant-based patty will be featured on the new burger along with avocado, pickled onions, roasted corn, crisp lettuce, vine-ripened tomatoes, jalapeño ranch, and edamame hummus. Beyond Meat’s patty will also be up for order in White Spot’s Southwest Power Bowl, which is a combo of avocado, cherry tomatoes, radish, roasted corn, and cabbage, quinoa, jasmine rice, greens, jalapeño ranch, and edamame hummus. White Spot’s counter-service brand Triple O’s will soon feature a Beyond Original signature burger and a limited-edition Mushroom Avocado Beyond Burger on May 6.